Located in Koloa, the Grand Hyatt Kauai is a beachfront resort featuring multiple restaurants, golf course, lazy river with a 150-foot waterslide, alongside with a salt water pool, and cliff that is easy to hike up for a breathtaking view of the entire resort. There’s a reason why it’s called the Grand Hyatt and after a four-night stay on this beautiful property, I can certainly say that I 100% recommend it for anyone visiting Kauai. Waking up before the sunrise in LA is out of the question for me, as my view from my apartment isn’t anything spectacular. However, it was a breeze waking up at 6AM each morning at the Grand Hyatt Kauai. With the sunrise around 6:30AM, it gave me enough time to get my coffee, settle into our balcony, and watch the skies turn into shades of pink and orange. I couldn’t get enough of it and with the pond right below us, watching the swans and koi fish swimming around just put me in the best mood everyday. Then again, you’re in Kauai, so can you really complain about anything? We arrived late in the evening to the resort but were greeted by the happiest staff members who lei’d us as soon as we stepped in. We were given a map of the property, which I believe there’s 52 acres total for guests to enjoy. Exhausted from the flight over, we got cozy in our spacious ocean view suite and ordered room service (available 24/7). The poke bowl and soup of the day hit the spot and I was thoroughly impressed by wait time (under 30 minutes) and quality of the food. Then again, with 6 dining options and 2 bars, room service has to be quite competitive. The Grand Hyatt also hosts a traditional luau with an all you can eat buffet Sunday’s and Wednesday’s for guests and the general public to book. For something super special, they offer an exclusive beachside dining experience under the stars, with a romantic candlelight four-course meal. Talk about ways to woo your significant other! I love starting off any vacation with a spa day and Grand Hyatt’s Anara Spa was the perfect place to rejuvenate. We had a 50-minute couple’s garden massage, which allowed us to relax in a private garden hale. We then decided to unwind in the dry sauna, steam showers, and even did a little bit of shopping in their spa shop. We both felt absolutely amazing afterwards. We spent the majority of our time exploring the island during the day and relaxing at the resort in the evenings. There honestly is no better feeling than coming back from a hike to a cleanly made room, with the most gorgeous ocean view. We took advantage of the dining options, with our favorite being Dondero’s, an Italian upscale restaurant and Stevenson’s Sushi & Spirits. You really can’t visit any Hawaiian islands without eating sushi and I love how fresh the fish was at Stevenson’s. On our last day on the resort, we hiked up a cliff on the resort and got the most spectacular view. It was a quick and easy hike that you can do in your sandals, but it is a bit of a walk to the cliff itself from your room. With the humidity, I was sweating like crazy but it is worth it. 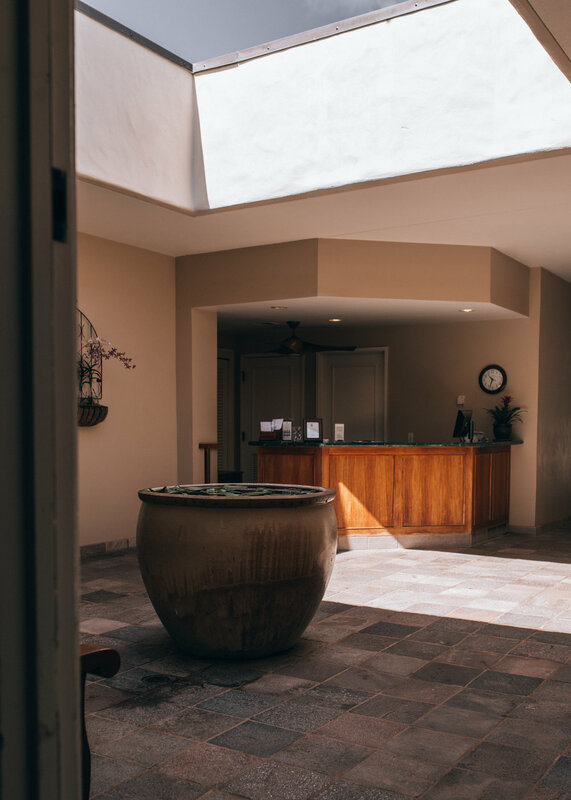 The hospitality exhibited throughout the resort from the valet staff to the spa members was beyond welcoming, and even the room service attendants had great chats with us. No one was in a rush or made you feel like you were bothering them whenever you requested something. 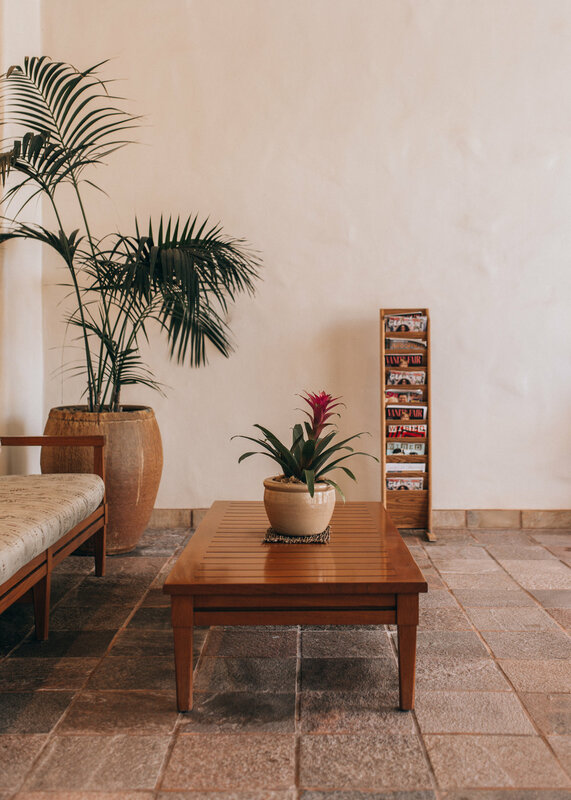 The staff took the time to provide recommendations for our drives around Kauai and the front desk is available 24/7 to assist with anything you need. Top-notch service all around and I will gladly always pay extra for such hospitality. Thank you Grand Hyatt Kauai for a great time! Travel, ExploreLisa Linh October 8, 2018 Kauai, Hawaii, Things to Do, Explore, Food, Restaurants, Princeville Ranch, Horseback Riding, Waterfall, Waimea Canyon, Queen's Bath, King's Bath, Island, Grand Hyatt Kauai, Savage Shrimp, Aloha Roastary Coffee, Lapperts, Anuenue, Triology Coffee, Kauai Juice Co., Mark's Place, Hanalei Bread Co.
A quarterly newsletter filled with digital goods — always resourceful and I promise I don’t spam. PSA: we get real ‘round here so everything published is 100% of my own opinion.